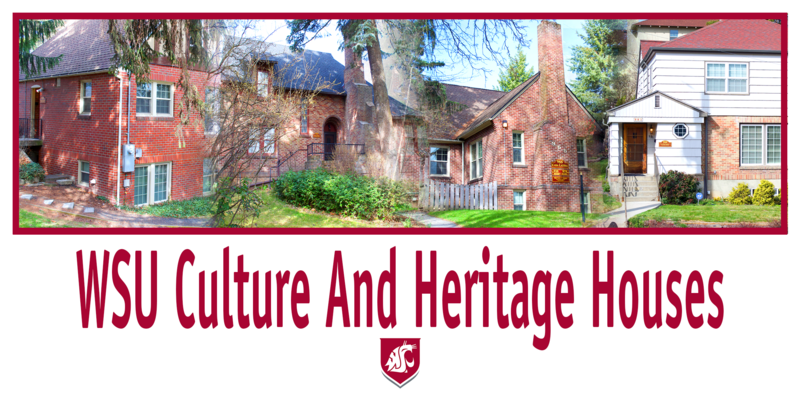 Between 2006 and 2011, Washington State University established a set of cultural centers on the Pullman campus called the Culture and Heritage Houses. Each of the Houses is dedicated to the art, history, and culture of a different community of color: African/African Americans, Chicano/Latinos, Native Americans, and Asian/Pacific Islanders. They provide administrative office space for the Office of Equity and Diversity, and they offer event space for seminars, workshops, potlucks, group meetings, and community gatherings. Each House contains collections of art, books, and artifacts related to its ethnic theme. They have hosted the ribbon cutting for the Pullman Historic District, cultural celebrations, welcome picnics, alumni gatherings, and more. Everyone is welcome in all of the Culture and Heritage Houses. All four of the Culture and Heritage Houses are beautiful, historic buildings that were first constructed in the 1920’s and 1930’s. They are fully furnished and feature all brick construction, hardwood floors, full kitchens, fireplaces, wireless internet, and open space for events and gatherings. On B Street, where three of the Houses are located, the site has a secluded, park-like atmosphere with attractively landscaped lawns and ample green-space.